Make a bold statement in your space with this stunning white wooden beaded chandelier in a dramatic tear drop silhouette. 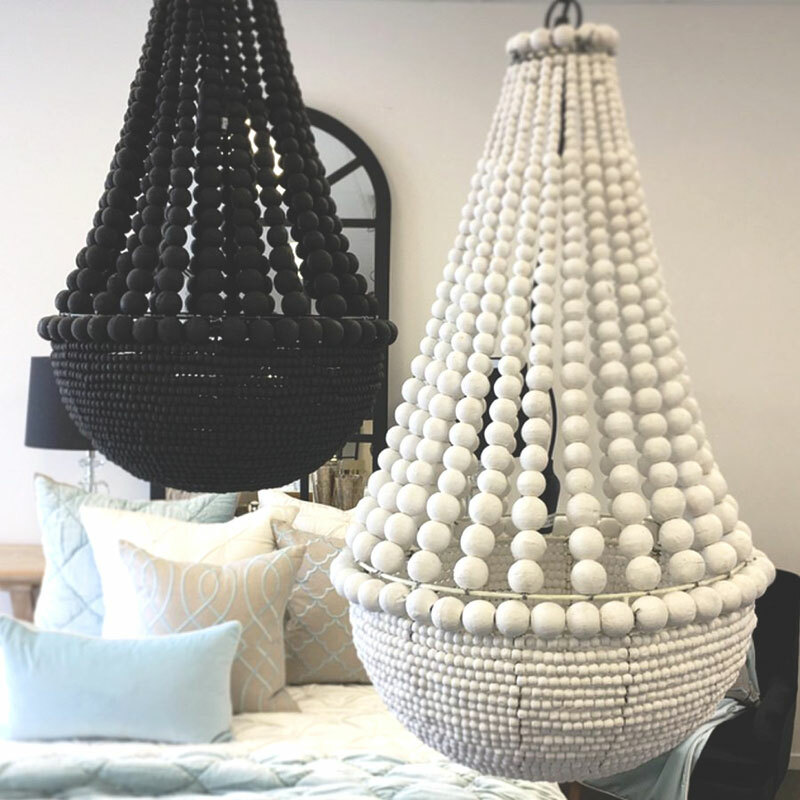 Hand crafted from timber beads with a sturdy wire frame, the chunky wood beads have been creatively combined to form a dramatic pendant light which will create a wow focal point in your room. 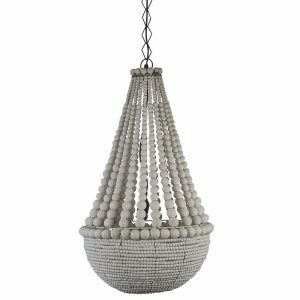 With its clean, simple design this modern chandelier is ideal for a wide range of interior styles, but especially popular for Boho Coastal, Scandinavian and Minimalist room decor. 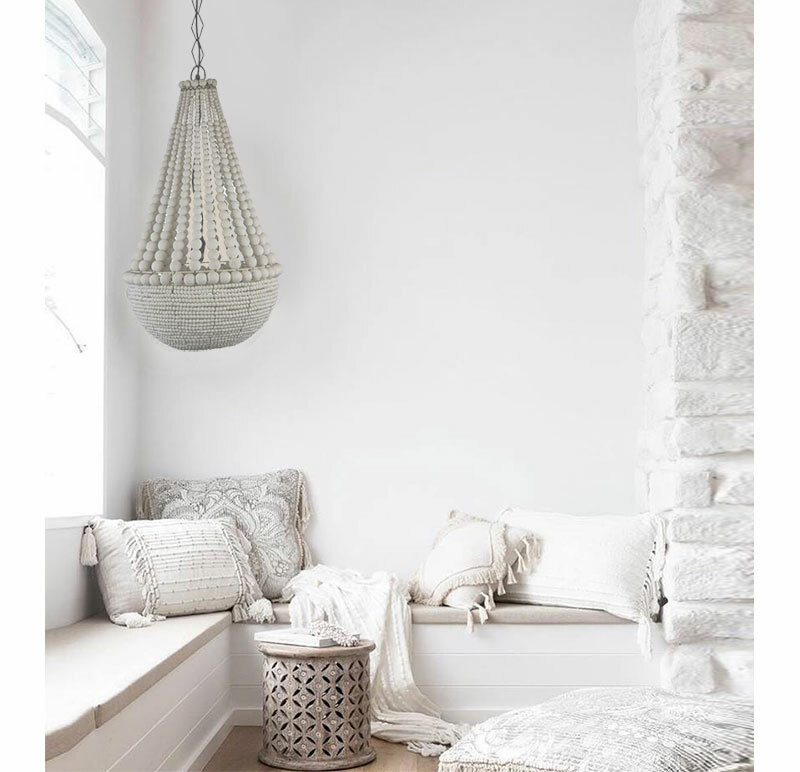 Take your room to the next level and create a peaceful sanctuary with layers of white on white and textures. 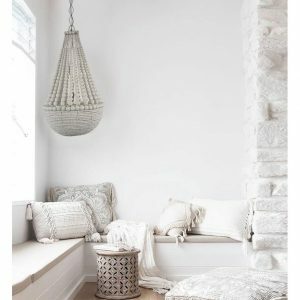 Browse our floor rugs, Icelandic sheepskin rugs, Losari cushions, throws and of course no room is complete without the ambience of candles. Stay inspired and follow our inspirational home styling pins on Pinterest.